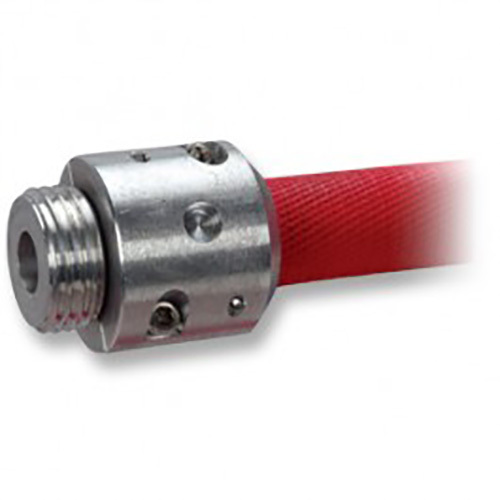 A multi-purpose, lightweight, rigid 1” diameter attack hose that meets the needs of industrial, municipal and forestry market applications. 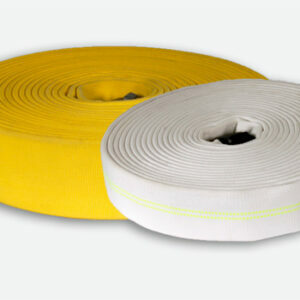 This uniquely constructed product features an all polyester cover for heat and abrasion resistance, along with a special helical interior reinforcement to retain its rigid shape. 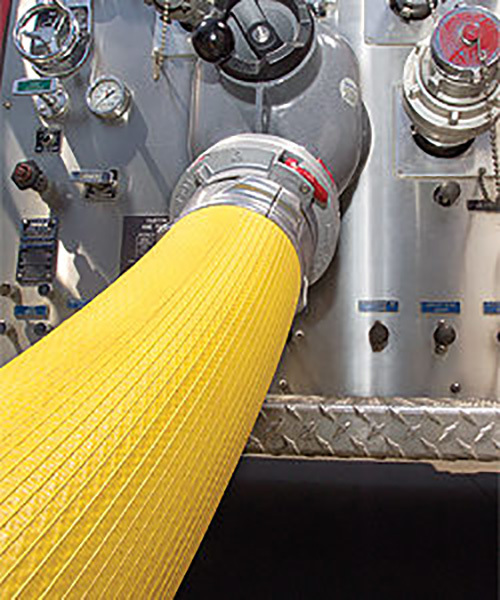 A multi-purpose, lightweight, rigid 1” diameter attack hose that meets the needs of industrial, municipal and forestry market applications. This uniquely constructed product features an all polyester cover for heat and abrasion resistance, along with a special helical interior reinforcement to retain its rigid shape. 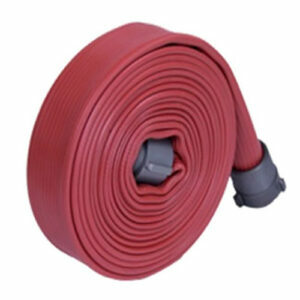 This thin-walled polyurethane lined hose, is the most durable lightweight booster hose on the market. 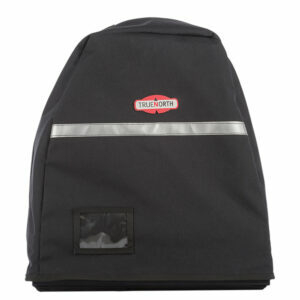 Circular woven, single jacket, combined with a helical interior reinforcement, and a polyester cover. Standard lengths available up to 200 feet long. Extruded polyurethane liner for age, ozone and chemical resistance. 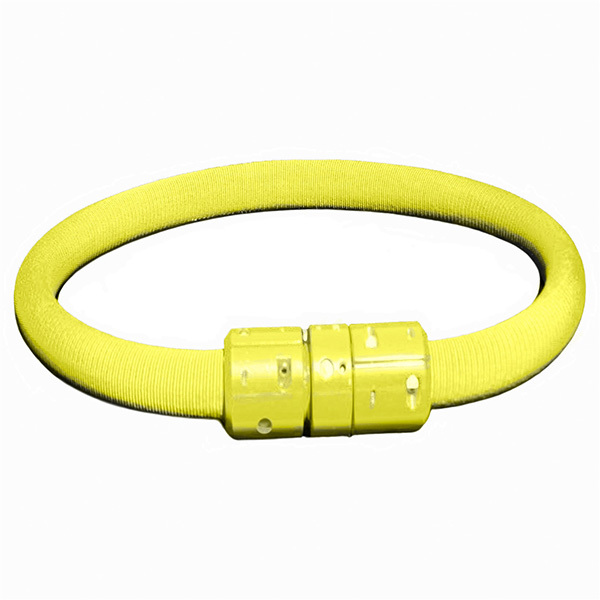 A polyurethane based polymer impregnation results in a red or yellow color to aid in abrasion resistance. Field replaceable coupling with a one inch NH thread standard. 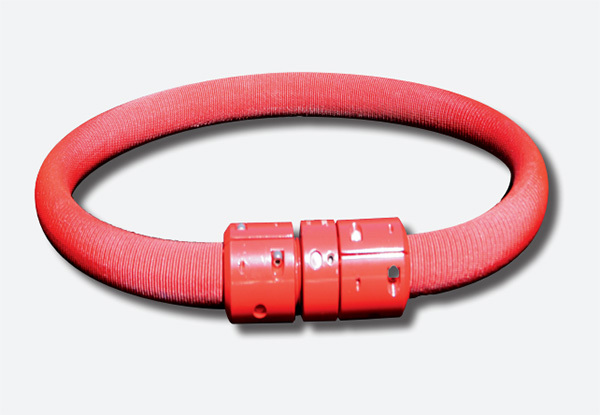 Aluminum internal expansion ring coupling available upon request.